In any modern company, e-mail is one of the most important business components. Sometimes, even 10 minutes downtime of a user mailbox can result in significant financial and reputational losses. So, an Exchange administrator should have a clear plan how to backup and recover the mailbox databases. 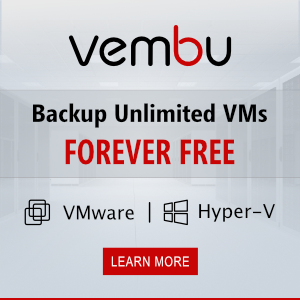 However, the recovery of a large database from the backup can take much time. To quickly recover mailboxes of the individual users, you may need the tools that allow to extract data from offline /corrupted EDB, OST or VHDX files. Stellar Exchange Toolkit is one of these tools. Let’s consider the main features of Stellar Exchange Toolkit that an Exchange administrator can be interested in. Download Stellar Exchange Toolkit installation file from https://www.stellarinfo.com/email-tools/exchange-toolkit.php. By the time this article is written, the latest available version has been Stellar Exchange Toolkit v 8.0. 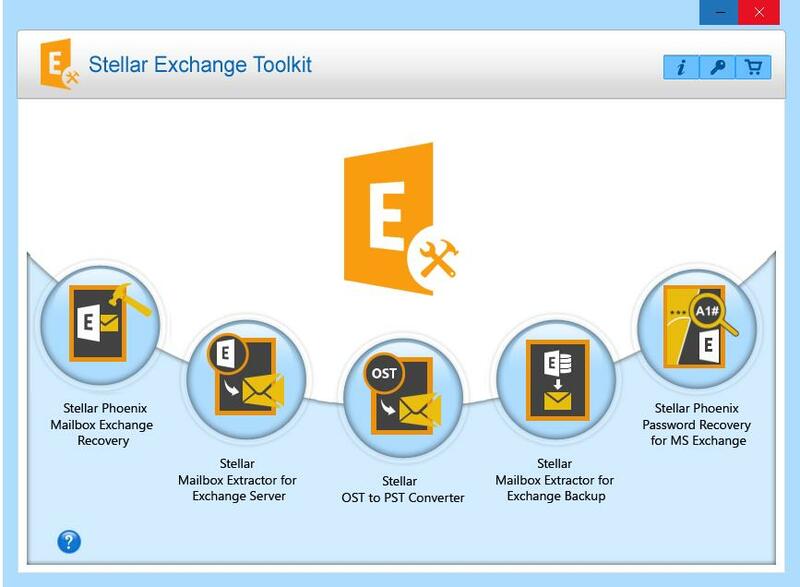 You can install Stellar Exchange Toolkit both on the Exchange server and on the administrator’s workstation. 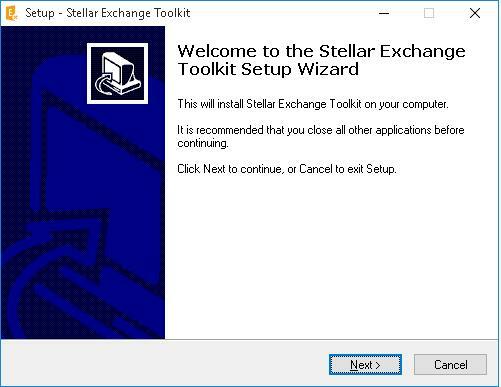 To install Stellar Exchange Toolkit, run StellarExchangeToolkit.exe with the administrator privileges. The installation is very simple and doesn’t cause any troubles. By default, the program is installed in C:\Program Files\Stellar Exchange Toolkit folder. To start the application, run set.exe file or click the desktop icon. Let’s dwell on the features of these 5 tools. Stellar Phoenix Mailbox Exchange Recovery may be useful if an Exchange database file is physically or logically damaged. 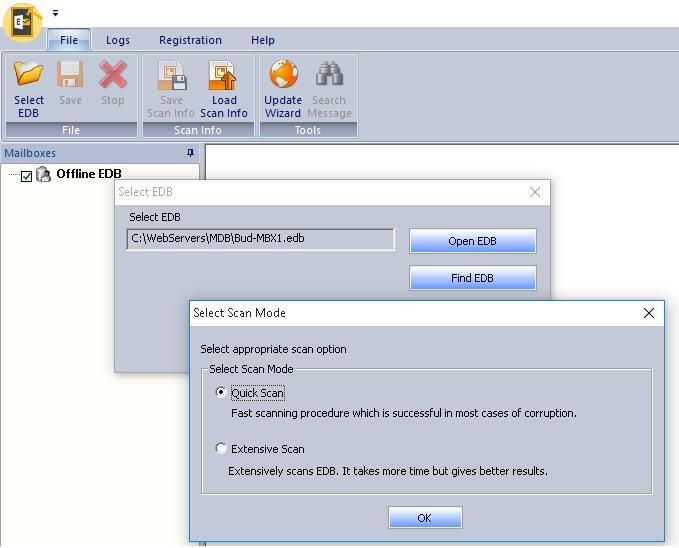 Using this tool, the administrator can scan the corrupted .EDB file (containing mailboxes of the Exchanged users) and save its contents (including folders, contacts, attachments) in different formats. Go to File and click Select EDB. You can search EDB files on your computer or specify the path to the EDB file manually. Select the EDB file you need and click Start. The tool will scan the EDB file and display the list of the found mailboxes, folders and mailbox items in them. Note. Quick scan of a 90GB EDB file that contains 250 mailboxes takes about 2 minutes. It’s quite fast! The found e-mails, folders or entire mailboxes can be exported in a file in one of the following formats: PST, MSG, EML, PDF, HTML or RTF. As a rule, it is convenient to export a mailbox in one or several PST files. Later these files can be imported in to Exchange or connected in Outlook. You can also directly import a mailbox to an empty Exchange/ Office 365 database in dial-tone recovery scenarios. 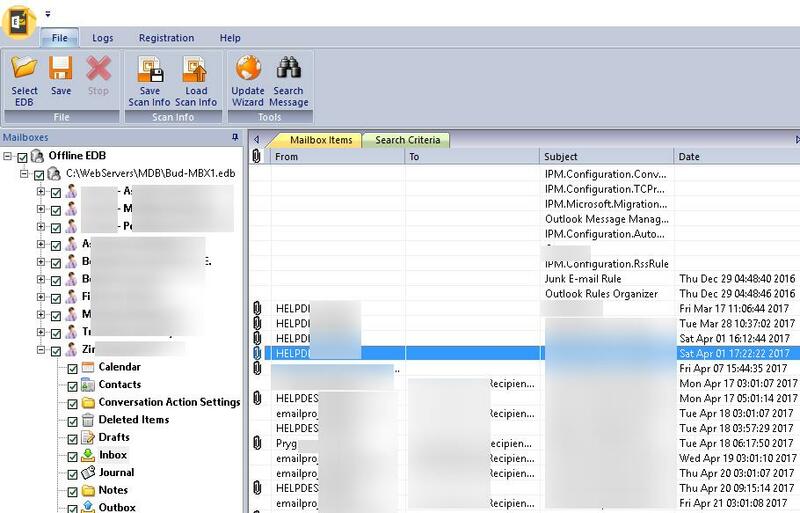 The tool allows to extract the contents of mailboxes from an offline EDB file or directly from a server running MS Exchange 2010 or higher (online mode). To connect to the server you must have MS Outlook installed. The utility can be extremely useful in the scenarios of user migration between the Exchange organizations / servers or to Office 365. In general, all Stellar Mailbox Extractor for Exchange Server features are the same as the previous Stellar tool. 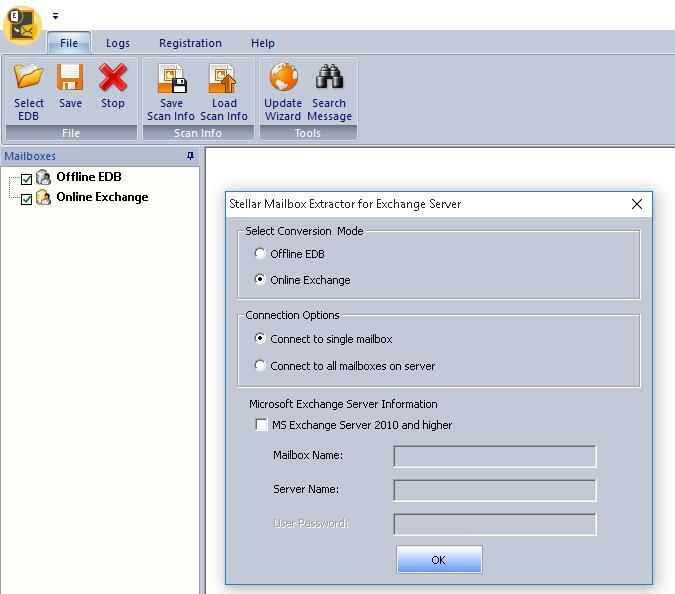 The difference is that Mailbox Extractor allows to extract data from a running Exchange server. Exchange versions 2010-2016 are supported. The administrator can export from Exchange databases the contents of the entire mailboxes or separate emails. 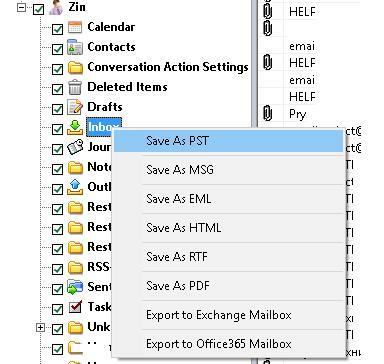 You can export data toPST files, Office 365 or standard file formats (HTML, PDF, EML or RTF). This tool allows to extract data from OST files on user workstations. An OST file is a cached copy of a user mailbox stored on the MS Exchange server. 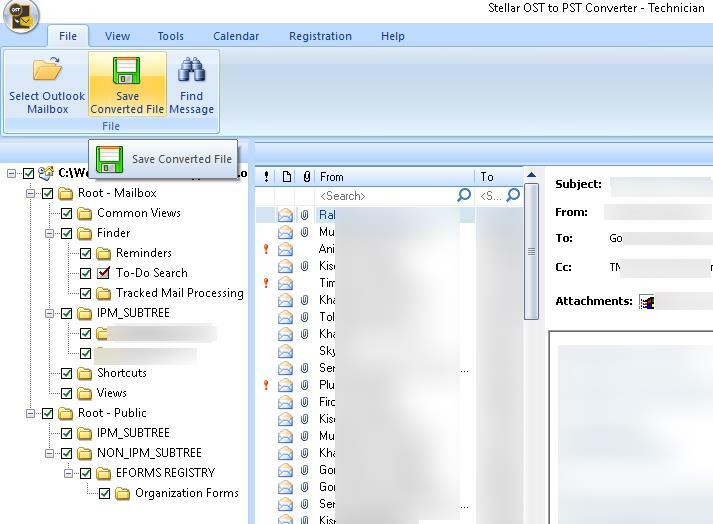 If there is no connection to the Exchange server or the server is damaged, the administrator can convert the local OST file to PST or one of the standard formats (listed above) using OST to PST Converter. The utility allows to scan a user’s computer and find all OST files. Using the graphical interface, you can view the folder structure, number of messages, contacts, tasks and calendar items. 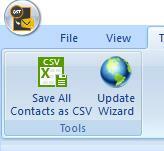 The contents of the OST file can be exported to a separate PST file or upload into the existing Outlook profile. Note. The utility also requires Outlook installed. Another useful tool for an Exchange administrator is Stellar Mailbox Extractor for Exchange backup that allows to extract mail databases from the files of Hyper-V virtual machines (.vhdx) or NTBackup files (.bkf) and save them as PST, MSG, EML, HTML, RTF, PDF files or directly to Exchange / Office 365. The last tool is necessary to reset the forgotten/lost password of the local administrator on Windows Server 2003 – 2016 using the special boot CD. So, Stellar Exchange Toolkit is an easy and convenient tool able to considerably simplify typical tasks of the Exchange administrator and help to recover data from a corrupter EDB file, migrate mailboxes between Exchange organizations or to Exchange Online, recover user data from OST or VHDX file, import/export user mailboxes from/to PST files, on-premises Exchange or Office 365. This toolkit can be especially useful for novice Exchange administrator without much experience in working with big Exchange databases and mailboxes, as well as Exchange Management PowerShell console . Stellar Exchange Toolkit totally eliminates the need of dozens of software and powershell command knowledge! This product definitely deserves a thumb up and I recommend it to every person who has day to day dealing with Microsoft Exchange Server.